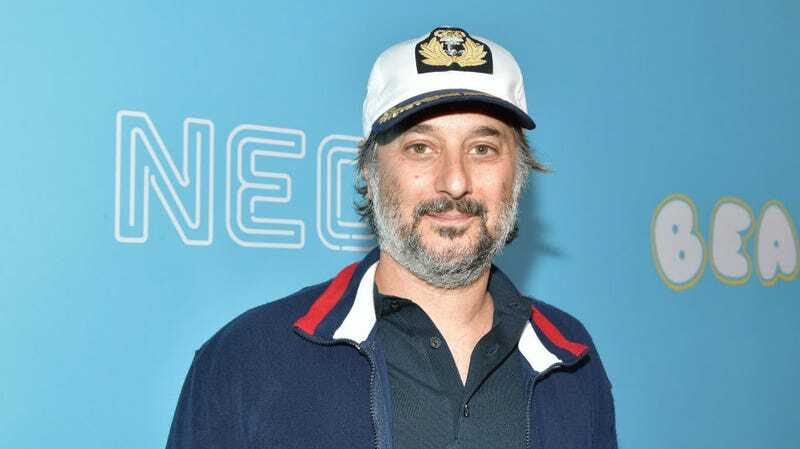 Back when he was just 19, Beach Bum director Harmony Korine wrote the screenplay for 1995's Kids, an uncomfortably intimate look at a day in the life of a group of New York City teenagers. The movie was huge. It kickstarted the film careers of Chloë Sevigny, Rosario Dawson, and Korine himself. It also provided the writer with an opportunity to enact his greatest, multi-year project: three bizarre appearances on Letterman that would culminate with his being banned from the show. In a YouTube collection of these spots, put together by Metaflix, we get to watch the whole journey unfold. “You fought a lot? Did you win? Were you a good fighter,” Letterman asks. “Not very good,” Korine answers. “Once I took this kid sailing and his name was Barfunk, and I capsized the sailboat, and he almost drowned,” he says. This pattern continues, Letterman asking the constantly fidgeting young man questions about his work that are immediately redirected. “I’m a patriot,” he continues. “I hide in trees.” Somehow Letterman closing the segment by saying, “We’ll be right back with Smash Mouth” doesn’t adequately follow up that statement. “I’d do the sequel probably,” he clarifies. “I’d use a rowboat. I don’t know if it’d sink.” He then just sort of laughs uncontrollably for a while and, when Letterman tries to help promote his novel, says he doesn’t get why anyone would read a book anymore.